Dirty girl designs was established in 2002. Our studio is located on the shores of beautiful Swan Bay Lake Macquarie, providing services to Lake Macquarie, Newcastle and the Hunter Valley. We provide horticultural advice and garden and landscape design and construction related services to both the residential and commercial sectors. Our service offering is ‘boutique’ in both character and nature and, therefore, able to be customised to meet your landscaping needs and lifestyle commitments, by embracing flexibility and technology. We adopt a professional, highly collaborative approach to working with our clients and have developed a unique, and enjoyable, approach to consultation and design. We also value continuing professional development and actively participate in industry hosted educational programs, personal research, and study and attendance at conferences domestically and overseas on a regular basis. Our philosophy embraces the notion that the design & construct experience is as important as the end result – and both should be very enjoyable. We’re often asked about our name - Why 'dirty girl designs'? “Because I like to be involved in the physical construction of your design - especially in the finishing touches that make all the difference. 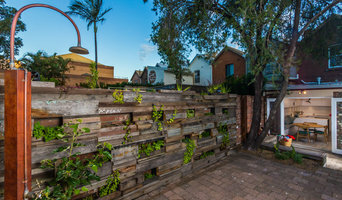 Whilst providing construction project management services I prefer to plant and light your garden myself – personally.” Susan Crichton-Walsh, Principal and Landscape Designer, dirty girl designs. Being successful in a creative profession means you have to be continually exposing yourself to new ideas, new materials, new ways of designing. It becomes your passion, each project is a chance to push the boundaries further. Of course we are aware of the commercial, financial and practical considerations of each project. We have experience working continually with architects, councils, developers, artists, park managers, public institutions, housing and engineers. Terras has been involved in thousands of projects with an experience base of over thirty years extending throughout the Hunter Region as well as interstate areas. We develop strong client relationships and deliver unique design solutions. Terras has a history of projects that show successful design outcomes. We recognise the constraints that exist on projects but seek to offer environmental alternatives to achieve better outcomes. With staff qualified in landscape architecture, architecture, horticulture, arboriculture, environmental science and bushland regeneration we have the necessary skills for any project. The possibilities are yours. Throughout the journey, from Initial Onsite Consultation and presentation of Landscape Concept Design to construction, completion and handover MUD can manage your project, ensuring you achieve the highest standard of finish. Getting your Development Application (DA) over the line can be the most challenging part of the process. MUD has the experience to successfully navigate the local council development approval process on your behalf. MUD also transforms public space into engaging community places. If you have a vacant building, empty lot or other under performing community asset that’s become a liability then MUD can help you transform this into a community and cultural asset. Octopus Garden Design is based in Warners Bay NSW on the shores of Lake Macquarie central to Newcastle, The Hunter & Port Stephens regions. Our focus is designing private residential gardens & boutique commercial projects. We are passionate about creating modern drought tolerant gardens that combine function, balance & style for Coastal & Country environments. 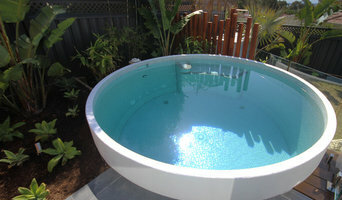 Our clients range from Architects, Developers, Landscapers and Home owners. WE BUILD, WE SUPERVISE, YOU SAVE, at civil4 design we will supervise your project from start to finish, and with 7 years of experience in civil construction. Nature's Magic solutions to garden design. Attract birds, butterflies, lizards, frogs, dragonflies, etc. Wildflower gardens. Butterfly gardens. Scented gardens. Clever design for low maintenance and beauty! At Innovative Exterior we believe in creating beautiful landscapes to suit your lifestyle. We work closely with our clients from the concept stage through to the completion of the project, while maintaining a professional and approachable attitude. Delivering a final product that exceeds all expectations, this investment is well worth your while as it will add value to your property while providing more entertaining, living and recreational space. Why not take advantage of your surroundings and enjoy your leisure time at home. Our team are fully qualified and professional, allowing the client to be at ease at all times during the project, as well as being kept in the loop with progress and we are confident that you will be very pleased with the end result. 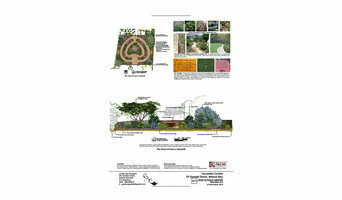 Professional landscape architects engaged in a wide range of landscape and urban design projects. 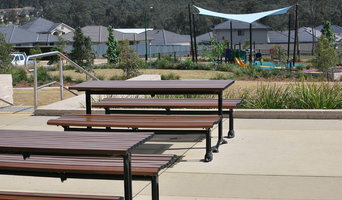 High quality design for commercial, infrastructure, education, aged care and residential projects. Firstly, consider the scope and emphasis of your project. Some professionals may only specialise in large properties, while others may specialise in small, urban courtyards. Ask about which regions and climates they have worked with and test their knowledge about plants. Ask to see photos of previous project, or maybe you can even inspect some in person. A little planning can go a long way when it comes to choosing a landscape architect or designer. Get a quote in writing, and make sure you’re clear on what’s included and what isn’t. If you know you may change your mind, ask for what the procedure is to amend the scope. Check what the timeline for your project looks like, what happens when there are delays, and get a feel for how comfortable they are in answering your questions. A good landscaping professional will also outline what garden maintenance will be required to keep your garden looking the way they designed it. 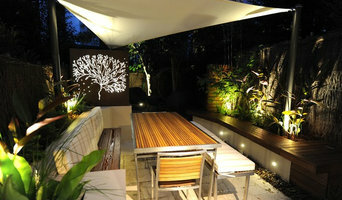 Houzz is a great place to start your search for the right Newcastle, New South Wales landscape architect or designer. You can either browse outdoor photos and find professionals linked to them, or you can browse our professional directory, see their latest projects, read reviews, and narrow down your search based on your style preferences. Once you’re down to a few, reach out and get some quotations to make your final choice. Here are some related professionals and vendors to complement the work of landscape architects & designers: Landscape Contractors & Gardeners, Garden & Landscape Supplies, Arborists & Tree Services, Lawn & Sprinklers, Decks, Patios & Outdoor Structures.